Pressureless Bottle Combiner - Lawin Technologies Inc. 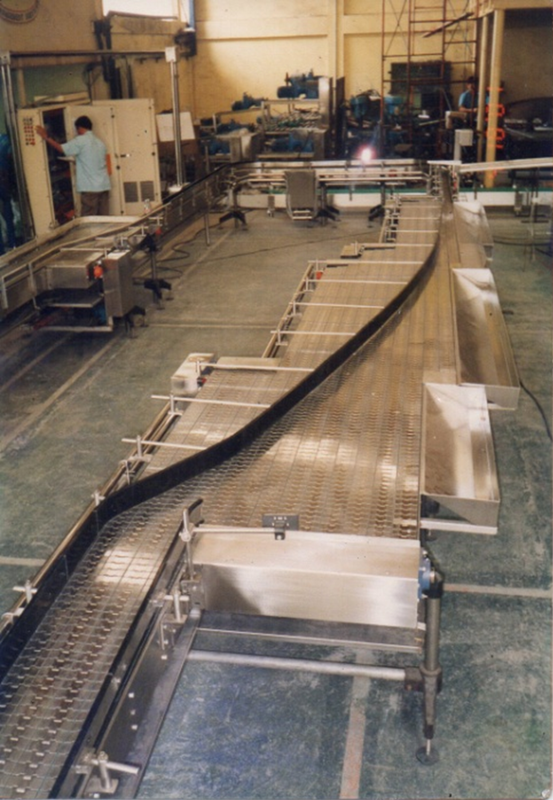 The Pressureless Combiner uses multiple slat chain and differential chain speed in order to achieve a single file of bottles coming out of a mass conveyor. The principle of pressureless combining reduces noise, bottle scuffage, and automatic ejection of toppled bottle going into a single file. Lawin Technologies Incorporated is a local manufacturer of Pressureless Combiner system. This product is controlled by a Programmable Logic Controller (PLC) enabling it to attain line speed exceeding 800 bottles per minute, handling 12 ounce bottles.